January 21st sees the Ellington play host to The Amani Consort as they perform two electrifying sets for the late night groove session. With the band performing limited shows in Perth in 2017 don’t miss your chance to catch this amazing group in action. 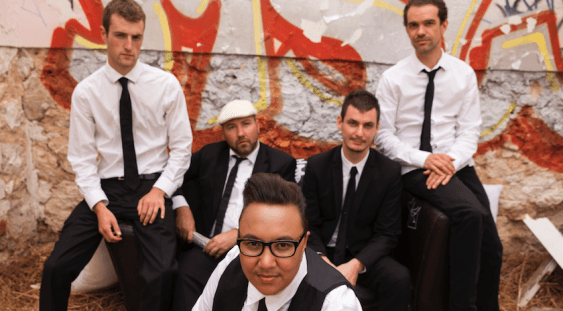 The Amani Consort were nominated for “Best Urban Act” in the Western Australian Music Industry Awards on the back of their debut EP “Better Way”. and their amazing live performances have gained them rave reviews. The Amani Consort will amaze and inspire you with their powerful performance style and contagious melodies. This original 5-piece band from W.A. blends elements of funk, neo-soul, jazz & hip hop. Lee Fields and the Expressions (USA), Sneaky Sound System (UK), Eryka Badu (USA), Morcheeba (UK) and The Soul Rebels (USA). The Amani Consort have wowed audiences at festivals including: West Coast Blues and Roots festival, Beerfest Asia 2014 (Singapore), Perth Fringe Festival, Beaufort st Festival, Pride Festival, RTRFM’s Seriously Sound System, WAM Spectacular, State of the Art Festival and Hidden Treasures Festival to name a few. Drawing influences from artists like: Jill Scott and Lauren Hill. vocalist Aysha Amani fronts the band with a strong presence, seamlessly blending soulful vocals with conscious rhymes. Amani’s engaging live performances have been gaining her rave reviews. “A fierce woman on-stage; a bit of Jill Scott, old-school, but entirely a woman of soul.” COLOSOUL MAGAZINE. The Amani Consort’s amazing performances have earned the group the reputation of a band not to be missed.